Welcome to Carmenita Truck Center! Hundreds of work trucks to choose from. We know you’ve got a special job to do and not just any stock truck is going to get it done. You can rely our experts at Carmenita Truck Center to customize and build a truck that’s right for the job you do. Sound expensive? You just might be surprised how affordable we’ve made it. Contact us to learn more. 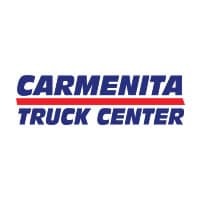 Carmenita Truck Center is a full-service truck dealership. We offer new medium duty trucks from Ford, Hino and Fuso as well as a wide range of used trucks. Any of our new or used trucks can be customized to meet your specific needs. We sell more truck parts than any other dealer in the US from our $7 million inventory of new, used and aftermarket parts. Our service department offers fast, efficient and cost-effective truck repair with more factory certified technicians than any other dealership in Southern California. We also offer a technical support center.